It's been a tough few years for Victoria Hesketh. Since the release of her debut 'Hands' in 2009, she's released a handful of tracks that have failed to garner the mainstream attention of her early material, leaving her dropped by her record label. You get the impression, though, that she isn't so bothered by mainstream attention as she once was. As Little Boots, she's always been an artist torn between dance and pop music, but on 'Nocturnes' (released on her own label, On Repeat) she's free to follow her own path, turning to her dance influences more readily than her pop roots. This is obvious by the inclusion of collaborators Andy Butler (of Hercules and Love Affair) and James Ford (Simian Mobile Disco), plus production from Tim Goldsworthy of dance label DFA. That's not to say that pop is missing - far from it. The most successful tracks are those that balance the two sides of her musical personality. Every Night, for example, is an absolute joy, featuring infectious dance beats and synth hooks with a Madonna-esque chorus that's pure pop. This is Hesketh at her best, in glorious equilibrium. The pop hooks keep coming with funky disco anthem Beat Beat and the simple melodies of Crescendo, all the while Hesketh's light, girlish vocals quivering over 90s house beats. Other tracks take on a darker quality to reflect the album's title: Confusion pairs heartbreak with downbeat piano, whilst Broken Record squelches and slinks in grand, twisted-disco form. Album closer Satellites eventually ends things on a massive high with its melismatic chorus melody. Other tracks don't quite hit the same mark. The hypnotic Motorway opens the album on a subdued note that lacks the rush the title might insinuate. Shake, meanwhile, is Hesketh's most-heavily dance orientated track and, missing the melodic quality of the rest of the album, it ultimately falls flat. 'Nocturnes' is a more focussed and mature record than 'Hands' - both musically and lyrically - with dance and pop aligned in richly dark union. Despite the odd lull, this is Little Boots at her peak, on a par with the likes of Goldfrapp and St.Etienne. Hesketh's voice may lack a bit of oomph, but her beats do all the talking. 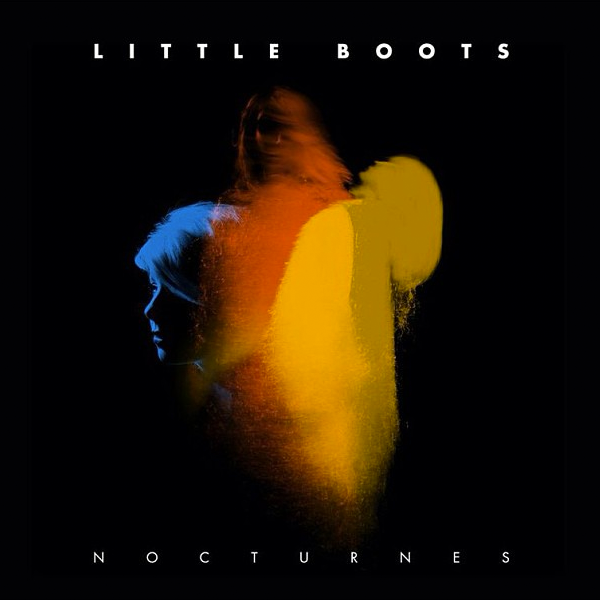 Listen: 'Nocturnes' is released on May 6th.